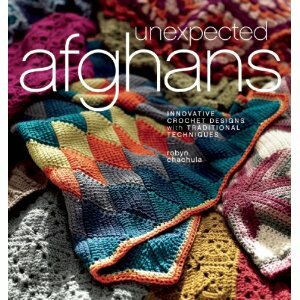 Today kicks off the Weekend Celebration of my new book, Unexpected Afghans: Innovative Crochet Designs with Traditional Techniques. So this weekend I have bribed a number of the designers in the book to blog, tweet, facebook about their design in the book. I was going to tell you what I thought of each one, but I would rather let them tell you. Keep in mind I just told them to go crazy on each of their afghans, it could have really been uh, "interesting"; but instead their projects are some of my favorite crochet projects out there. I truly hope you enjoy the little tour this weekend. 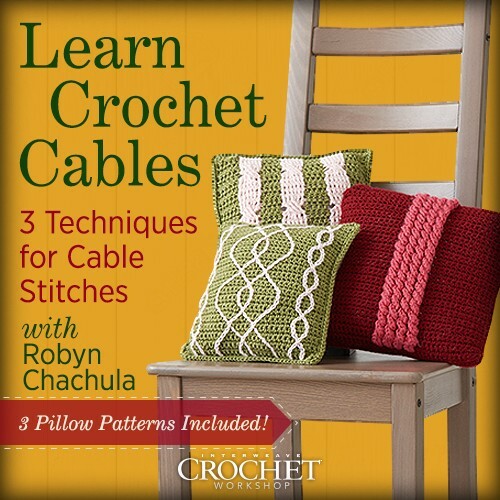 At each stop (including over at Interweave), you will be able to win a free eBook copy of the book. For me, go check out the preview (below) and let me know (in a comment here, in an email, over at facebook or twitter) what project speaks to you the most. I will let CJ pick her favorite from the book on Monday and announce a winner on Tuesday. Here are all the projects over at Flickr with each designer labeled. Please go check out these designers, you never know, you might find a new favorite or two! Love them all but it's a toss up between the Kaleidoscope Afghan by Tammy Hildebrand and the Mod Retro by Edie Eckman. Love the color choices. There are two that stand out to me too: I love the Peacock afghan by Ellen Gormley and the Peerie baby blanket by Katherine Merrick. I've just looked through them all again and I found more that caught my eye. I was drawn to many of the patterns, but since I have a grandchild on the way I would start with Sunken Treasure by Kristin Omdahl. What a great baby blanket! I cannot tell you how much I love this book! 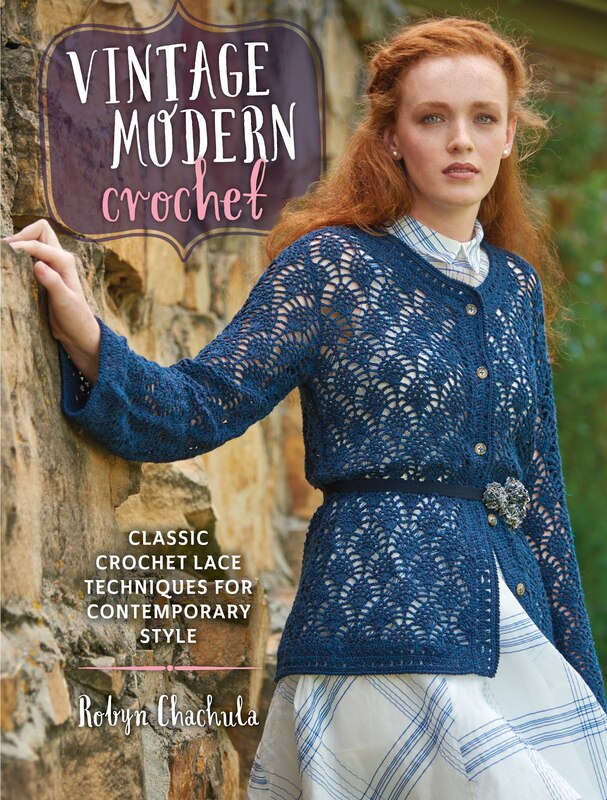 I already knew I loved the Annette Petavy entry before I viewed your link above, but I also really liked the Vika as well as the Damask lace from Marly Bird. The big surprise for me was an entry by Leigh Radford. I love, love, love her knit designs but haven't seen her around in a while. Love those color blocks!!! 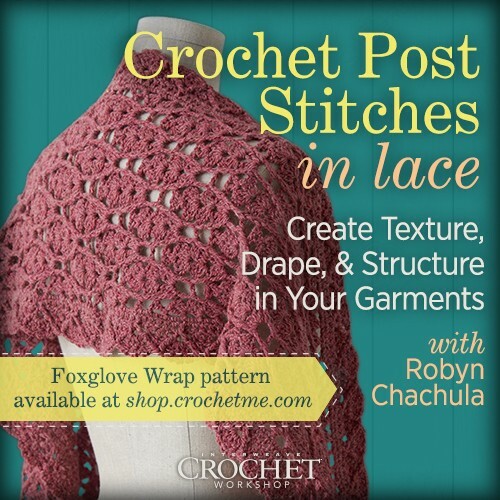 Fantastic blog hop. So delightful to see the diversity of styles and colors in this book. I'm drawn to the dots and poppies. I love the colors, but I also love that not every "square" is a flower. There's diversity in the pattern. 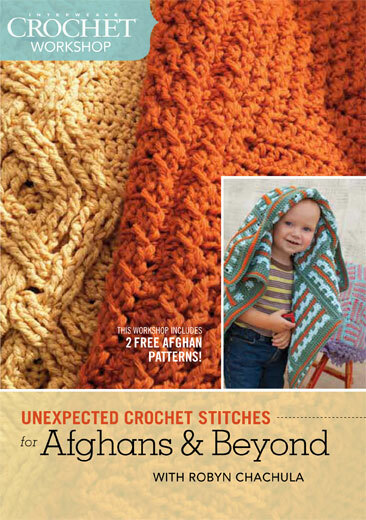 But honestly, each afghan is so unique and tantilizing, I could gush about each of them! Just wanted to stop by and say hello. I sometimes do not comment, but I do read your posts. Stay cool! 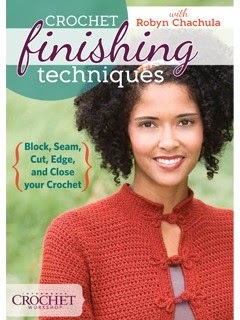 i so want this book! Oh I'm torn. I hate to choose a favorite. I want to do the Peacock afghan by Ellen Gormley, love the colors and design. But I think Kristin's Sunken Treasure really speaks to me. It has an interesting smoothness to it. You feel like you could rub each "coin" in your hand. And I love the semmetry of it. I think it would be a great baby/kids blanket, and you could go any direction with the color. The purple one, Amanda,by Tracey Barrett is also beautiful, as is the Exploded pineapple Afghan by Doris Chan. 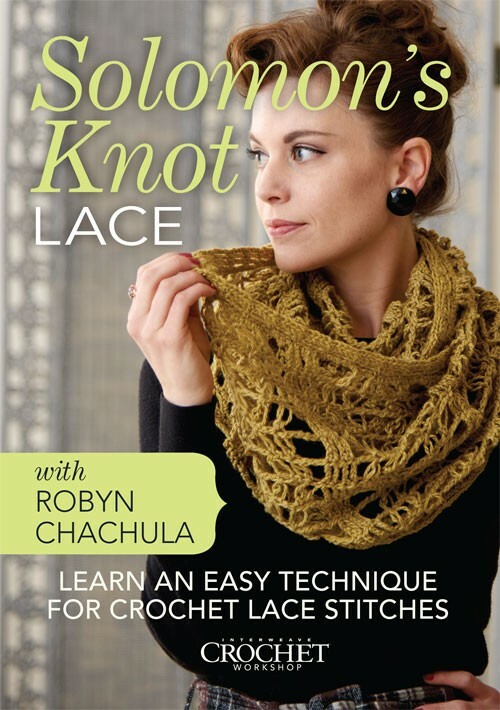 I am a huge fan of lace, and teal is a great color choice. I also really liked the Bethleham Star by Beth Temple. I liked some of the pillows too, especially the Vigne and the Hatsukoi ones. See, I hate to choose just one! I am so EXCITED for this book! Ever since you told us about this a long time ago on your blog! I like the Veledilo cable afghan. 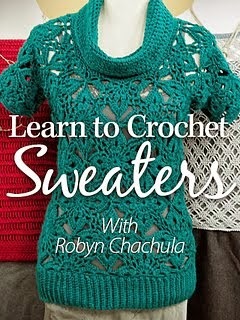 I always look at cables on knitted things and find it truly amazing that you can get the same effect from crochet! Thanks for the chance to win! Van Gogh Waves by Kim Guzman makes me feel like I'm on the ocean at dusk watching the waves. I love the Peacock Afghan. I love anything that looks like flowers and flower motifs! Van Gogh Waves by Kim Guzman is my favorite. Love the inspiration. 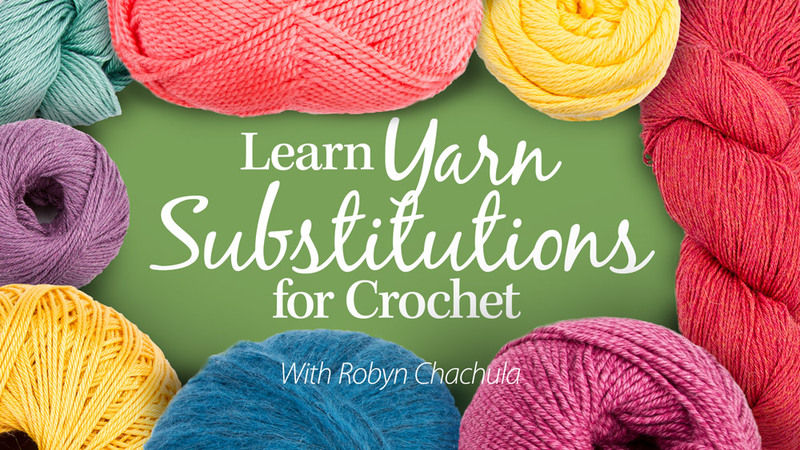 The colors are lovely and I love tunisian crochet too! where do I start! I love them, all of them. I'm contemplating making afghans for family members this Christmas as I've never gone for anything on such a grand scale and looking at these gorgeous examples has made my mind up. need to get started straight away though as some of the techniques are new to me. I'm really taken by several of them, but I love the colorblock afghan by Leigh Radford and the entrelac afghan - and I am not usually a fan of entrelac! I love the Morrocan Circles afghan as well as the Sunket Treasures. Looks like a fantastic book! My favorite is the entrelac starburst. I love doing Tunisian entrelac! I love the Vigne pillow, reminds me of M.C. Escher's drawings! 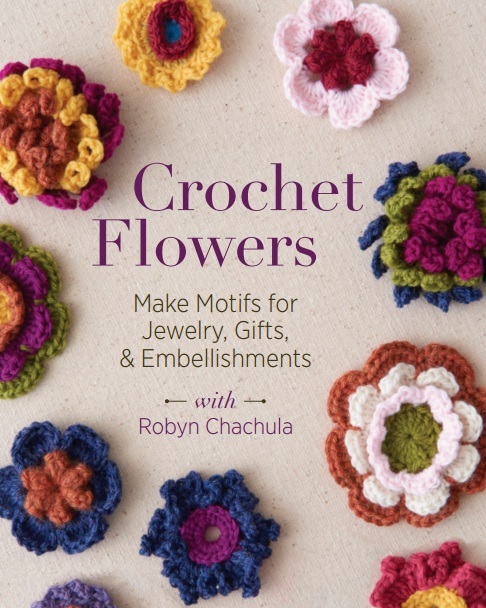 Have yet to make my way out of granny squares & wave afghans and would so love to make many that are in this book, so beautiful, unexpected for sure and totally inspirational! 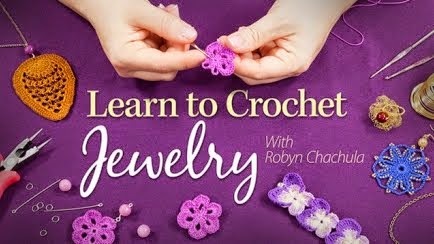 A lot of these I looked at as a new crocheter and was amazed they are crochet! Great work! I am in love with the entrelac blanket, the peacock and the kaleidoscope, the mod retro.....BUT Carol Ventura's beautiful Desert Sunrise just blows me away. SO HARD TO PICK JUST ONE!